There are lots of chat clients are available online. If you have account on each Hotmail, Facebook, Gmail, Yahoo etc, then you need a multi messenger client. Multi messenger client help yo to manage all your chat networks through one single chat client. If you have different accounts on different chat clients or social network, then it can be difficult to use them all same time. 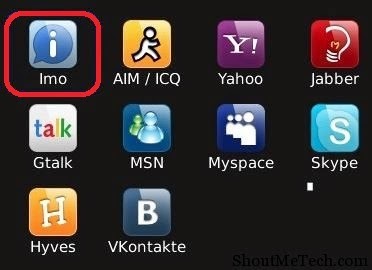 For example, if you are chatting on FB and other friend want to chat on Yahoo, than you have to use both chat clients and it use much resources and also slow down system performance. So for this a multi messenger client is always the best option, where you can configure all your accounts in one client and chat on all same time. This give you easier access to your account as you get login with one single client. Today we discuss 6 best multi messenger clients. Download Voxox for Windows and Mac. I believe that you have already heard about it. Mostly people know this app for mobiles but this app also work on PC. This also has Voip function so you can make calls. You can use below accounts on desktop Nimbuzz. Download Nimbuzz for Windows and Mac. Download Trillian for Windows and Mac. Download Pidgin for Windows, Mac and Linux. It now only support chats but also give extended email support. You can check emails easily. It also allow you to chat with random people. The best thing is that you can manage emails also. Download Digsby for Windows, Mac or Linux . InstantBird is fast. It is compatible with Mac, Windows and Linux. It has tabbed conversation feature. It doest not support lots of chat clients. Download InstantBird for Windows, Mac or Linux . Whenever you want to use any chat client use one of these 6. Do share your experience with these.